Investigators affiliated with the Parker Institute for Cancer Immunotherapy will present the latest in immuno-oncology research at the 32nd annual Society for Immunotherapy of Cancer (SITC) annual meeting at National Harbor near Washington, D.C., from Nov. 10 through Nov. 12. The SITC annual meeting is billed as the largest conference solely focused on cancer immunotherapy in the United States. Leading Parker Institute researchers will share their findings on personalized cancer vaccines, CAR-T therapy and immunotherapy resistance, among other hot topics. November is Pancreatic Cancer Awareness Month. Pancreatic cancer is now projected to be the third leading cause of cancer deaths in the United States for 2017, according to the National Cancer Institute. However, few new effective treatments have emerged in the last decade. At SITC, several Parker Institute scientists will speak about important developments that could pave the way for first-of-their-kind immunotherapy treatments for this deadly disease. Parker Institute researchers at Memorial Sloan Kettering Cancer Center (MSK) studied long-term pancreatic cancer survivors and found new factors that help explain why certain individuals can fight off tumors. Other Parker Institute scientists will be presenting a poster regarding the institute’s innovative new clinical trial for pancreatic cancer. The study combines chemotherapy and immunotherapy, a one-two punch designed to knock out hard-to-treat solid tumors such as pancreatic cancer. “Identification of Unique Neoantigen Qualities in Long-term Pancreatic Cancer Survivors”Vinod Balachandran, M.D., a Parker Institute investigator at MSK, will present his findings on tumor neoantigens associated with long-term survivors of pancreatic cancer. Co-authors include Parker Institute Director at MSK Jedd Wolchok, M.D., Ph.D., Parker Institute researcher Taha Merghoub, Ph.D., of MSK, and Parker Institute staff data scientist Danny Wells, Ph.D. Presidential Session, Saturday Nov. 11 from 2:05 p.m. to 2:20 p.m., Maryland Ballroom C.
“A Phase 1b/2 Study of CD40 Agonistic Monoclonal Antibody (APX005M) Together with Gemcitabine and nab-Paclitaxel with or without Nivolumab in Untreated Metastatic Pancreatic Adenocarcinoma Patients”This Parker Institute-led multi-center clinical trial combines chemotherapy and immunotherapy for advanced pancreatic cancer. The two immunotherapy agents in the study are a CD40 antibody that can drive the immune system to attack cancer and an anti-PD-1 checkpoint inhibitor to take the brakes off cancer-fighting T-cells. This clinical trial is the first to come out of the collaboration with Bristol-Myers Squibb and the Cancer Research Institute. Parker Institute investigator Robert Vonderheide, M.D., DPhil, from the University of Pennsylvania, is senior author. The poster is on view Saturday, Nov. 11 (P254). Friday, Nov. 10, 2017, 2 p.m.
Catherine Wu, M.D., a new Parker Institute investigator at the Dana-Farber Cancer Institute, will be co-chairing this personalized cancer vaccine session. Dr. Wu will also present on improvements in epitope discovery at 2:45 p.m.
Saturday, Nov. 11, 2017, 9 a.m.
Antoni Ribas, M.D., Ph.D., Parker Institute center director at the University of California, Los Angeles (UCLA), will be co-chairing this session and presenting on acquired resistance to PD-1 blockade in melanoma at 9:55 a.m.
Sunday, Nov. 12, 2017, 8 a.m. Crystal L. Mackall, M.D., Parker Institute center director at Stanford Medicine, will give updates on CAR-T research at 8:30 a.m. Carl H. June, M.D., Parker Institute center director at the University of Pennsylvania, co-chairs this session. 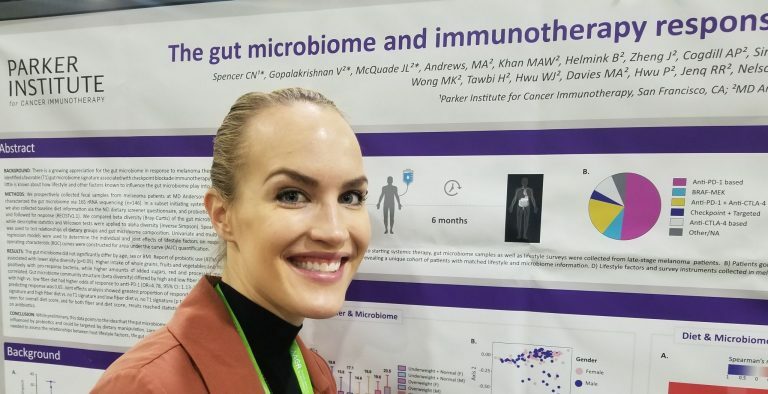 A greater diversity in gut flora and an abundance of specific bacteria was associated with improved response to immunotherapy among patients on anti-PD-1 checkpoint therapy. Jennifer Wargo, M.D., Parker Institute investigator at the University of Texas MD Anderson Cancer Center, is senior author. Vancheswaran Gopalakrishnan, Ph.D., is scheduled to present on Friday, Nov. 10 at 11:45 a.m., Maryland Ballroom. 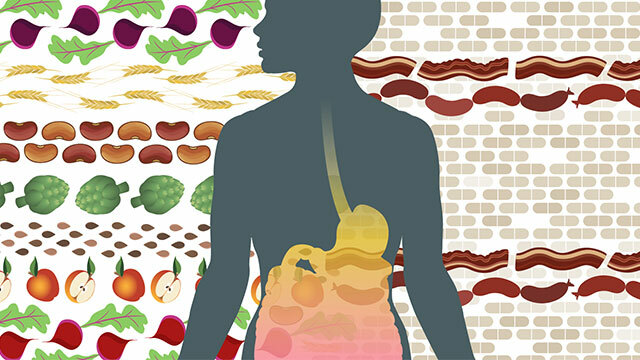 The Parker Institute is collaborating with Dr. Wargo on developing clinical trials to test whether influencing the microbiome makeup can affect patient response to checkpoint blockade treatments. Events times and dates are subject to change per the event organizers. For the latest information, visit the SITC website to view the SITC 2017 Annual Meeting Schedule. For more information on Parker Institute research at SITC, please email press@parkerici.org.